Jessica Jones returns to the Marvel Gallery PVC line based on her appearance in Marvel's The Defenders on Netflix! 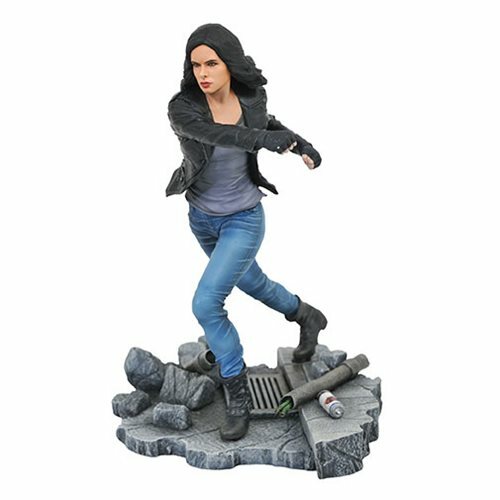 Jessica Jones comes approximately 9-inches tall and is made of high-quality PVC with exacting paint details, and comes packaged in a full-color window box. Designed by Nelson X. Asencio. Sculpted by Rocco Tartamella.